Winnie SHIU, Chair Elect of Commission 1, met with Anh Ngoc Nhuyen, the contact of the technical session of Commission 1, in Hanoi in early November. 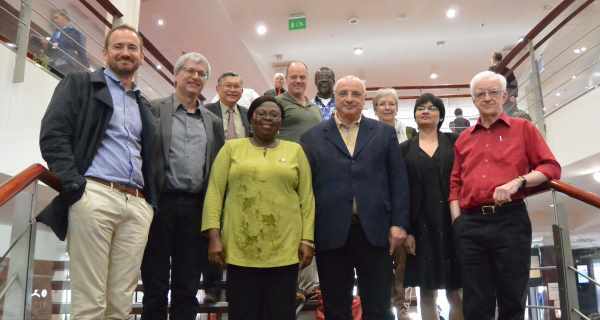 It was a fruitful discussion for planning the technical programme for Commission 1 in the FIG Working Week in Hanoi 2019. 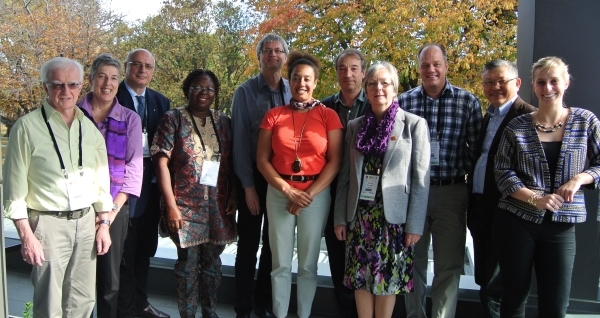 I'm pleased being the Chair-Elect of FIG Commission 1 'Professional Standards and Practice’. Submission of abstracts for Peer Reviewed and Non-peer Reviewed Papers for the FIG Working Week 2019 in Hanoi Vietnam will be closed on 1.10.2018 and 1.11.2018 respectively. The theme of the conference is 'Geospatial Information for a Smarter Life and Environmental Resillience'. It will be great for the delegates from various countries be able to listen and share your expertise and views in the areas of Professional Ethics and Standards, International Boundaries and Women in Surveying. Click www.fig.net/fig2019 for details of the Working Week and I look forward to receiving your submission and seeing you at the Working Week in Vietnam. Please feel free to contact me at shiuwinnie@yahoo.com. Mr. Brian Coutts, Chair of commission 1 making his report to the General Assembly Commission 1 had its annual meeting during the FIG Working Week 2015 in Sofia, Bulgaria, 17-21 May 2015.